The Elite Impression Single Tote is a perfect bag for a bowler who wants a little more in their bag. This bag has an accessory pouch for rosin bags, cleaners, or towels as well as a shoe compartment for men's size 13 shoes. Also what a great warranty in a tote bag, one year is perfect! 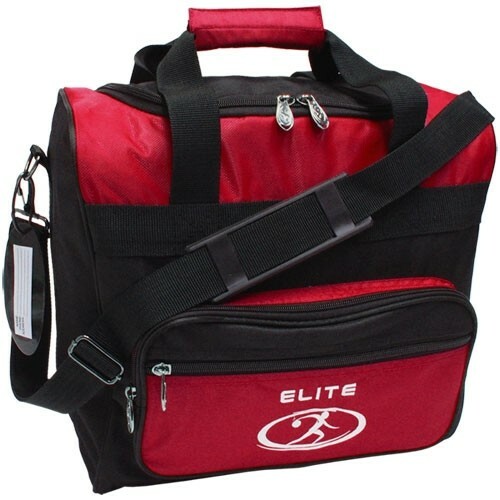 This bag is a must-have for any bowler who loves looking fresh on the lanes!!! 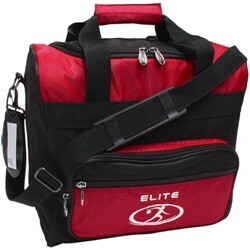 Due to the time it takes to produce the Elite Impression Single Tote Red/Black ball it will ship in immediately. We cannot ship this ball outside the United States.